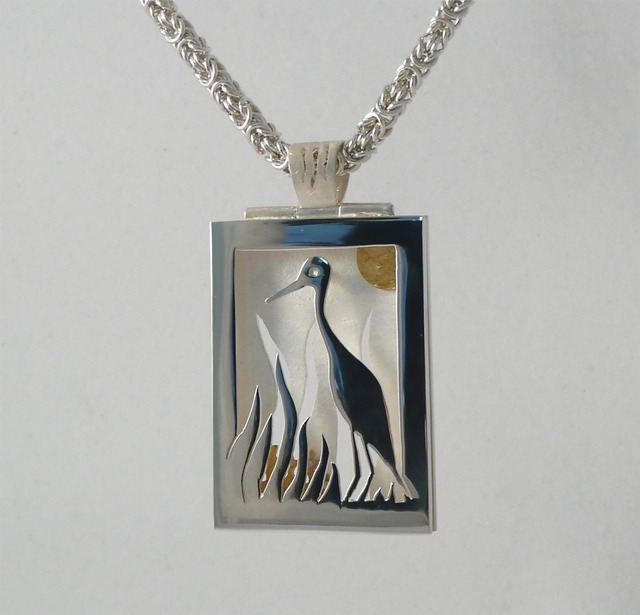 "Crane with a Secret", pierced, hinged, and chainmaille. Sterling silver, and brass, 2" x 1.25" x .25", 2011. Not for sale.